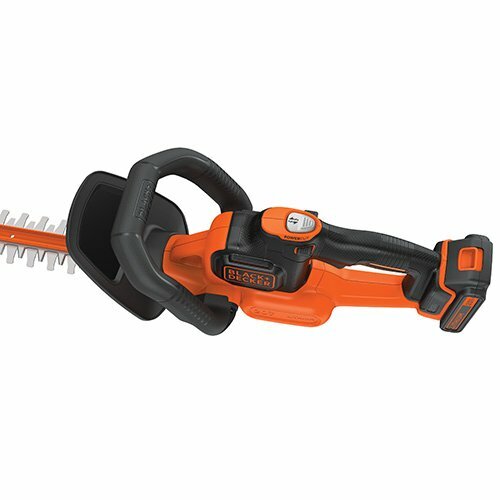 Both of these hedge trimmers run on a 20V Lithium-ion battery. 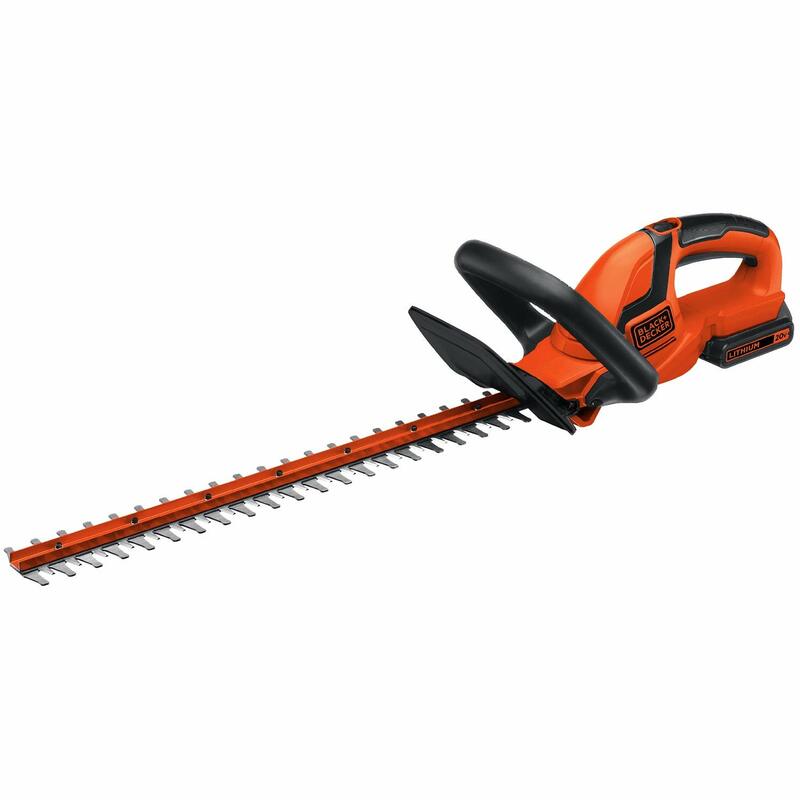 Both are equipped with a 22-inch blade that promises to easily cut branches up to 3/4-inch thick. Both are rated to trim up to 3,000 square feet of hedges per single charge. What is the difference? Which one of these battery-operated hedge trimmers should you choose? Let’s help with this Black+Decker LHT321FF vs LHT2220 comparison report. You’ve seen the chart above. Surely, you’ve spotted THE difference. Black+Decker LHT321FF and LHT2220 hedge trimmers are almost the same in features but they differ in one important detail: POWERCUT. To put it simply, it’s an upgrade feature added to the Black+Decker LHT321, which allows you to “cut through a jam with a single push of a button.” In other words, the Black+Decker LHT321FF is equipped with a Powercut button while the Black+Decker LHT2220 isn’t. This button is on top of the handle. According to the manual, depressing the Powercut button in the event of a jam makes the blades move back and forth, slowly and more forceful so that you can cut through the difficult branches. It’s surely a helpful feature, isn’t it? Take a look at the image below. Do you see where the Powercut button is? Back to the ultimate question… which of these cordless hedge trimmers should you buy? To end this Black+Decker LHT321FF vs LHT2220 comparison report, here’s our recommendation. Buy the Black+Decker LHT321FF. The POWERCUT feature is truly helpful.